Way back in the very first part of the Alpha I figured we would end up back in the starting area at some point. It is a fairly easy conclusion to draw because there are areas and features that look like you should be able to explore past and that you couldn’t access. What I didn’t anticipate was the way we re-entered that area, I think I might have stumbled across something that is part of a quest I haven’t properly initiated yet, especially given we didn’t actually unlock any new activities to do there when we visited. I suspect the most common reason for turning up there again will be violence because the conversation I had there really seemed to imply that I had died again, even though nothing like that had happened, the scene change was totally unexpected. Finally we are done with character creation… or are we? In Numenera and other Cypher system games you are always a ______ _______ who ______, or a Descripter Type who Focuses. The first scene in character creation lets us pick a Descriptor, the second sequence currently ends in a temporary completely out of character choice of Type but we haven’t chosen a focus. I am not sure if this is because focuses are not yet implemented or if our focus is already fixed by the plot. For example, we could be a Slick Nano who is Attuned to the Blue Tide, or maybe a Slick Nano who was Castoff By the Changing God. Regardless it feels good to get out of our own head and into the world itself, I am really looking forward to exploring the exotic science fantasy setting that Numenera offers, to talk to NPCs and actually get things done. Of course the first area is literally the same one we got to explore in Alpha Systems Test 2, but things are interesting enough that I will avoid trying to rush through the older stuff to get to the new content. After some technical problems it is time for take two of the attunement lab fight and again when dealing with the creatures it would be great if we had a visual to pair with the text, much like some of the scenes in Pillars of Eternity used where the player is performing actions which simply are not supported by the engine. I know this works because that is exactly what we see with the big choose your own adventure mega-memory that is our reward for attuning with each of the creatures. Given the length and intensity of the memory I am glad they opted to do something rather than just continue to show the lab. Torment: Tides of Numenera has reached beta, we previously checked out the Alpha Systems Tests and it will be interesting to see what changes have been made to those scenes. A word of warning however, the beta uses content from the critical path of the game, so the content this series covers will contain spoilers for the final game. Some elements may change, especially in terms of UI, puzzles or combat but I would not anticipate any of the major story beats changing. The first part of this episode is literally the same as Alpha Systems Test 1, and largely I feel my initial feedback remains the same, I really hope that they provide more visuals to go along with the text here. There is a lot of really cool descriptions and scenes happening in the text but we don’t really get to see any of it, a few still pieces of art to go along with the sound and text would go a long way. Unfortunately we also had some… technical difficulties in the Attunement chamber, frustrating in the moment but we are dealing with a beta after all. It shouldn’t have much impact to you guys but I will have to play through the early parts again before I can record the next episode. I got this as part of the December Humble Monthly Bundle, the pre-alpha to a game that was literally announced at about the same time as the bundle came out. A stealth game that gives you complete control over time, making it much less time consuming to find openings and never be seen. Being in a pre-alpha stage it is very limited, it has enough features that you can play around with the core concept, time only moves when you are pressing a key, grappling hook lets you easily navigate, etc. I can definitely see the potential here but right now the very basic movement doesn’t feel good. It is really jarring for the player character to go from full speed to frozen in an instant, absolutely nothing in the real world does that, it is why you tend to see other visual effects layered over the top of a time freeze in most other games. Shadwen needs something to covers the unnatural transition and world state, but it needs to not be too obnoxious, because a lot of play time will be spent in that state. I think the moment I enjoyed most was swinging between the beams in the open great hall. It felt very spiderman, I wonder how many of those moments will be in the larger game. 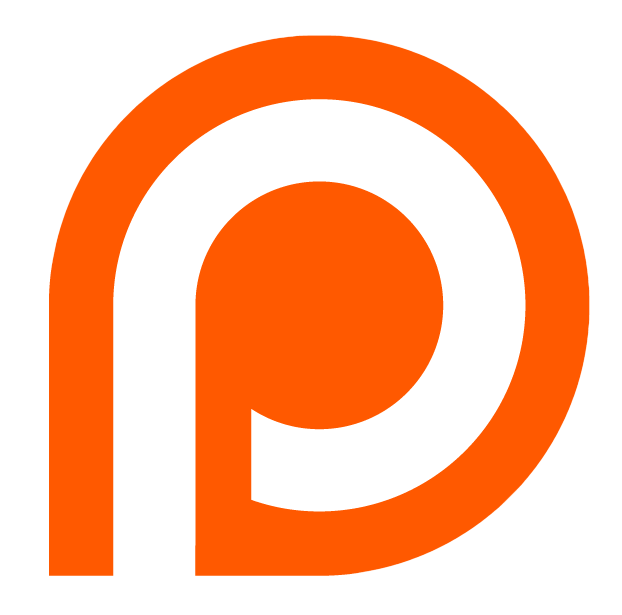 Apologised for my voice in this one, I recorded it while pretty ill this weekend, I guess I will ramp more slowly back into production than initially intended. Just before I went away, inxile entertainment released the second Alpha Systems Test for Torment: Tides of Numenera. This time with a couple of scenes focused on the exploration mechanic. It has a couple of puzzles, multiple scenes, companions and conversations. It again spoils some of the very early portions of the game, all of these tests are meant to feature parts from quite early on. One of the things I am really enjoying about this process is seeing how they are translating the Cipher system to the PC. They are clearly using the same basic system for the checks I have seen so far, the test has a difficulty (which corresponds to a multiple of 3), the difficulty level is modified by traits and skills that you have and finally you can expend effort to reduce the difficulty of a test further. Since the scenes displayed so far are very short there is no reason not to just spend your points as quickly as you can. I suspect this will be different in the full game. I am pretty keen to see how combat will work in Tides. I also like how we get to see more of the world in this one. The game takes place an unimaginably long time into the future. Earth in Numenera has been host to at least 8 world/universe changing civilizations before the game starts, each having risen and made its mark before falling for some reason or another. Nothing is truly natural or unchanged, even the very dirt itself contains signs of previous civilizations. From the very first scene transition you can see that too, the layers of strange ruins of buildings and craft, diverse and distinct as if no two of them were made by the same hands, with strange devices and objects of no clear purpose. Maybe some of them will be useful, maybe some won’t. All that said I can definitely understand why they are careful talk about these releases as Alpha Systems Tests. They wear their incompleteness on their sleeve, from the interface to the characters to the easy way in which the text will break the fourth wall. While they expect these releases to be played, they only expect the most invested players to do so literally given that the cheapest tier that included it was $125US and anyone else has to fork up another $10 for the privilege. Conveniently enough I think they are interesting and will probably check out each of the tests as they come out. Orion Trail is what you get when you decide to mix a Star Trek parody with a combination of FTL and Oregon trail. I knew almost nothing about it going in having done only cursory research before accepting the key from a friend of mine who ended up with a spare. Basically I looked at the pictures on the steam page and googled it to find out it had been kickstarted some time ago. I’m not sure what the best strategy is, I suspect that you should be looking at focusing on probably just two skills per sector. Makes it pretty likely you will get at least one option in the right colour and have the greatest possible chance of success in that option. I also really like the way redshirts work in the away mission, where though you are relying on a single officer’s skills, your redshirts basically act as a bonus to all tests, but if you used one to succeed, that redshirt died. What I don’t like is the apparently pretty small pool of events, I had a couple repeated over two runs in two different sectors and I am always a bit wary seeing repetition that early, though obviously with 3 different skill choices for each event it is a chance to see the other possible outcomes. I don’t think I would be happy to see Space Weasels a dozen time of the course of finishing the game. It also seems like the game is rigged to ensure you are running very low on supplies by the end of a sector, failing an event often loses a punishing amount of resources and winning often won’t even give you enough supplies to cover the trip to the next star, this is definitely not a sustainable space adventure. That said I will keep an eye on it, they only seem to have implemented a relatively small number of the planned sectors so far and it will be interesting to see how it changes as the game fills out. Continuing Early Access week I thought it was time to give the alpha systems test of Torment: Tides of Numenera a go. The aim of the current test is to demonstrate the very basic skills test systems and show off the writing for the introduction. It is a relatively modest ambition but it delivers. I can see how the Numenera effort system works its way into the conversation based test, though here we also lack any skills or assets which could impact any tests, so we are trying the system in its simplest form. I enjoyed the writing in the introduction but really hope that they provide a bit more art, I think at the very least the voiced sequence at the beginning could do with even just a series of still images to show some of what you can see below you as an Earth a billion years older than the one we know is spread out before the main character. Right now what the intro shows is a lot of text and a little sound, it would be great if there was something else to see to augment things. Rather than leap into a new extended game I thought I would spend this week trying some of the alphas and early access titles sitting in my steam library. In this case Heat Signature, the next game from Gunpoint’s Tom Francis. Getting at this game is kind of unusual, rather than being a separate game in my steam library it is currently built into Gunpoint. Until the 30th of August , owners of the Exclusive edition DLC for Gunpoint get an option on launch to instead play Heat Signature. It is pretty bare bones at this point, but the basics are there you have enemy ships, a procedural mission structure and a surprisingly satisfying stealth system. I enjoyed sneaking up behind guards and beating them unconscious with a wrench possibly a little more than is reasonable, but my favourite feature is the ability to blow sections completely out of enemy ships via explosives or shooting fuel storage. That it was possible came completely out of left field. The game feels pretty procedural but I really hope that Tom can build a funny and interesting story into it like he did with Gunpoint. Have you heard of Indie Gamer Chick‘s #GamesMatter operation? The gist of it is basically this: in order to counteract the recent wave of negativity and hate that has become associated with video games, and in order to remind everyone that games are a force of positivity and happiness for so many people the world over, IGC has teamed up with developers to give away free videogames. To… more or less anyone who wants them. Cool, innit? Giveaways happen in time-limited and amount-limited batches, so check out IGC’s Twitter if you’re interested. 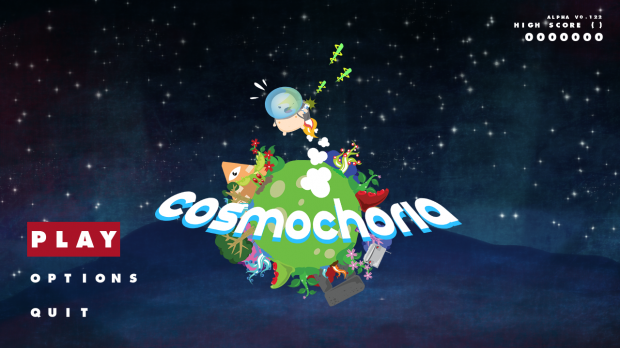 It is through #GamesMatter that I got a hold of (among several other games) an Early Access key to Nate Schmold‘s Cosmochoria. From a brief developer stream, I got the impression that it looked like a happy colourful game where you jetpack around the universe planting plants on planets. Which is to say, it looked pretty interesting. And because of that, in the spirit of the originating event, and because I didn’t have anything more pressing to write about this week… well, here we are. Standard Early Access warnings apply: everything that I say can, and probably will, change over the course of development. Cosmochoria is more or less in the Earliest Access, too, so normal caveats apply doubly.